Anthony Ramos (Hamilton, A Star is Born) is re-teaming with Hamilton creator Lin-Manuel Miranda to star in the In the Heights adaptation of the 2005 Broadway musical, Variety has confirmed. Ramos originated the roles of John Laurens and Philip Hamilton in Broadway’s Hamilton. His previous credits also include Monsters and Men and the TV series She’s Gotta Have It. He can currently be seen in Lady Gaga and Bradley Cooper’s A Star is Born. Upcoming projects include Godzilla: King of the Monsters and Trolls World Tour. In the Heights is set in Washington Heights in New York City and focuses on a bodega owner who is closing his store and retiring to the Dominican Republic after inheriting his grandmother’s fortune. The musical won the 2008 Tony Award for Best Musical. Jon M. Chu (Crazy Rich Asians) will direct from a script written by Quiara Alegría Hudes (Hamilton). Miranda, Anthony Bregman, Mara Jacobs, and Scott Sanders will serve as producers on the project. Miranda portrayed the lead role of Usnavi in the Broadway musical, and also wrote the music and lyrics. In The Heights will be filming next summer on location in NYC’s Washington Heights. It’s scheduled to open in June of 2020. 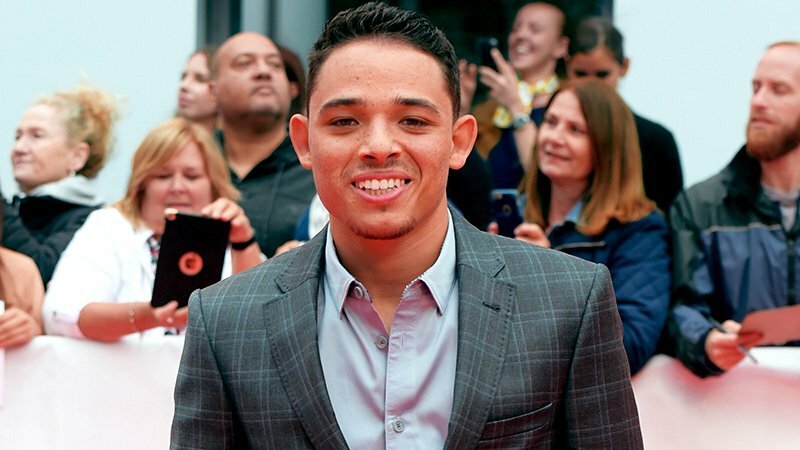 The post Anthony Ramos Joins Lin-Manuel Miranda’s In the Heights Adaptation appeared first on ComingSoon.net.